This is the third in a series of exclusive interviews with Dr. Paul Kengor, Cold War historian and professor of political science, on his blockbuster book, The Communist: Frank Marshall Davis, The Untold Story of Barack Obama’s Mentor. The Communist is based on declassified material from Soviet archives, FBI files, and archived articles from Communist Party publications. Among the material reproduced in Kengor’s book are reports from Davis’s 600-page FBI file listing Davis’s Communist Party number: 47544. Kengor’s book provides stunning information that the mainstream media has carefully avoided. Like Breitbart.com’s Vetting project, Kengor’s exposé is doing the vetting of Obama that the pro-Obama media refuses to do. Breitbart.com: Professor Kengor, our focus today is how Barack Obama’s communist mentor, Frank Marshall Davis, relates to this week’s Democratic convention. Our last interview focused on the troika of Obama, David Axelrod, and Valerie Jarrett, all of which have common political ancestors in Chicago’s Communist Party circles in the 1940s. Pick up with just a quick summary of that. Kengor: Sure. In the 1940s, Obama’s Hawaiian mentor, Frank Marshall Davis, was extremely active in Chicago Communist Party fronts, campaigns, and newspapers. He worked alongside the political ancestors of David Axelrod, Obama’s chief strategist, and Valerie Jarrett, Obama’s closest adviser. For Axelrod, the political ancestors were the Canter family, Harry and David Canter–so far to the left that they actually lived in Moscow and worked for Stalin’s government just before relocating to Chicago. The Canter family mentored David Axelrod in Chicago in the 1970s. 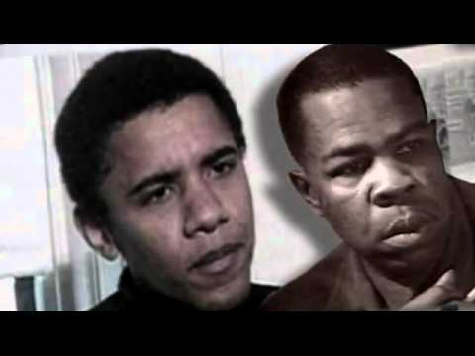 For Jarrett, the link to Frank Marshall Davis was her grandfather, Robert Taylor, and her father-in-law, Vernon Jarrett, who worked with Davis in various Communist Party campaigns and causes. Breitbart.com: And there’s no question about this. You document it meticulously. Kengor: No question whatsoever. In the book, I have hundreds of endnotes from primary sources, and especially from Congressional reports. In those days, by the way, it was Democrats who ran these committees. In turn, Frank Marshall Davis and his comrades tarred and feathered Democrats. It was Harry Truman and the Democrats who ran the White House at the start of the Cold War; in other words, they stood in the way of Stalin. And so, guys like Frank Marshall Davis, who were literal Communist Party USA members–meaning they swore a loyalty oath to the Soviet Union, to a “Soviet America,” and to the “triumph of Soviet power in the United States”–trashed the Democrats. Breitbart.com: This is one of the most fascinating themes in your book. As you note, it was Democrats who summoned the likes of Frank Marshall Davis to Washington to testify on their pro-Soviet activities. Kengor: That’s correct. When Davis was called to Washington to testify in December 1956, it was by the Democrat-run Senate Judiciary Committee. These were the old Cold War anti-communist Democrats. Back then, the Democratic Party was still the party of Harry Truman and John F. Kennedy and other great anti-communists like Pat McCarran and Thomas Dodd, the late father of Chris Dodd. Breitbart.com: But it gets better. In your book, you document how Frank Marshall Davis and other communists decided to leave the Communist Party for the Democratic Party. Why did they do that? Kengor: Because they realized that they could never get elected as members of the Communist Party. So, they targeted the one of the two dominant political parties that leaned to the left: the Democrats. One of the most remarkable things in Frank Marshall Davis’s declassified 600-page FBI file is a report from April 1950. It records that “members of the subversive element in Honolulu”–that is, communists–“were concentrating their efforts on infiltration of the Democratic Party through control of Precinct Clubs and organizations.” These communist subversives were pushing “their candidates in these Precinct Club elections.” One of these subversives was Davis, Obama’s mentor. According to the report, on April 6, 1950, one such candidate, Frank Marshall Davis, was elected “assistant secretary and delegate” to the Territorial Democratic Convention in his Precinct Club. That particular precinct was the Third Precinct of the Fifth District. And, for the record, as the FBI file shows, Davis, in fact, attended that convention on April 30, 1950. Breitbart.com: How many communists did this–moved into the Democratic Party? Kengor: It’s impossible to say. I wish we knew. But we know that many of them did. One of them was Obama’s mentor, Frank Marshall Davis. Breitbart.com: You argue that this slow but sure infiltration of the Democratic Party moved the party much farther to the left, to where it is today. Kengor: Absolutely. For American communists who supported this infiltration, it was this migration–and much more–that helped transform the Democratic Party from the party of Harry Truman and JFK to the party of Nancy Pelosi and Barack Obama. That’s where we are today. The culmination of a long march–to borrow from Anita Dunn’s favorite philosopher, Mao Tse-Tung. Breitbart.com: Are you saying that Frank Marshall Davis trained Obama in this subversion of the Democratic Party? Kengor: No, not at all. I can’t say that. If that happened, I certainly have no proof. We can’t say for certain whether Davis influenced any sort of political strategy by Obama. I do find it very noteworthy, however, that Obama–as I show in the book–was probably a Marxist when he left Davis for Occidental College in 1979 (though not an actual Party member), and we do know, thanks to Stanley Kurtz’s digging, that Obama joined the socialist New Party in January 1996. Only after all of that did Obama end up as the current head of the Democratic Party. So, in a way, Obama may have followed Frank Marshall Davis’s footsteps, even if inadvertently, by moving away from communist ties to, instead, the mainstream Democratic Party. Breitbart.com: That alone is a fascinating parallel to Davis. Do you see any other parallel to Davis that you believe will be on display at the Democratic convention this week, or at least to Obama and Axelrod and the Obama campaign? Kengor: Yes. When you hear the continued class rhetoric, the unceasing class warfare, the vilification of Mitt Romney’s business record, the relentless bashing of Wall Street, profits, and even the line of attack used against Paul Ryan, that’s all classic rhetoric reminiscent of Frank Marshall Davis and the mentors of these folks. It sounds exactly like them. 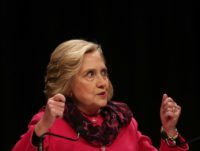 The walls of the Democratic convention this week will resound with the same kind of class-warfare rhetoric that these old communists used to vilify their opponents in Chicago in the 1940s. The rhetoric is often hauntingly similar. This is not your grandfather’s Democratic Party.